There’s a term I remember learning about in college called “Multi-brands”. It is when a company introduces a new brand line that appears to compete with a brand already owned by the same organization. Usually done in a fragmented market, we’re beginning to see this happen a lot in the game industry as of late. Multi-brands are not a new concept. Proctor & Gamble has been doing this for decades and have had as many as ten different brands of laundry detergent on the market at the same time. Unless you were to read the fine print on the back of the bottle, you’d think they were from completely different companies. Other industries do this as well – hotels market different brands to different markets (Marriott and Fairfield Inns as an example) as does the car industry (General Motors offers GMC, Chevy, Cadillac, Buick, etc.). There have been a number of game companies adopting this concept as of late. 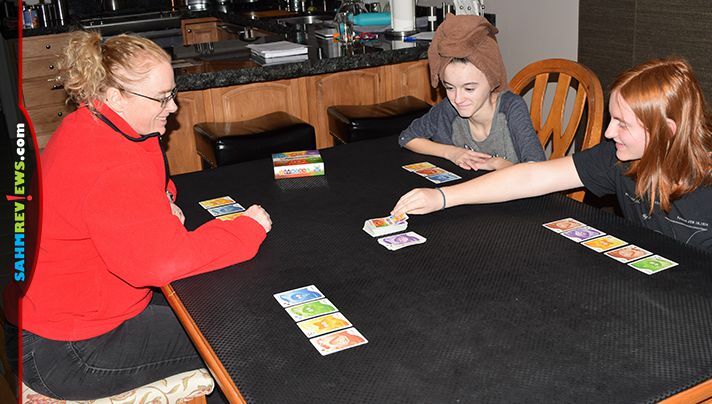 Smirk & Dagger recently began offering family games under their Smirk & Laughter line. 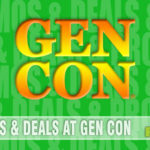 Grey Fox Games has followed suit with Social Sloth Games. Both are attempts at aligning their brand with the market they’re targeting. A smart choice. 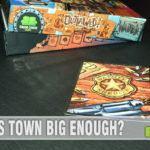 A few months back we told you about a new cooperative game by Starling Games that had quickly become our favorite of the genre. Because of its setting during WWII and featuring a controversial subject, Black Orchestra isn’t a title that will appeal to everyone. We enjoyed it for its great game play, the ability to use it in an educational setting and how the publisher chose to focus on the facts and not on the overall social ramifications of Nazi Germany. Shortly we’ll be telling you about another one of Starling Games’ titles, Everdell, which has a much friendlier theme while still maintaining a complex game play. 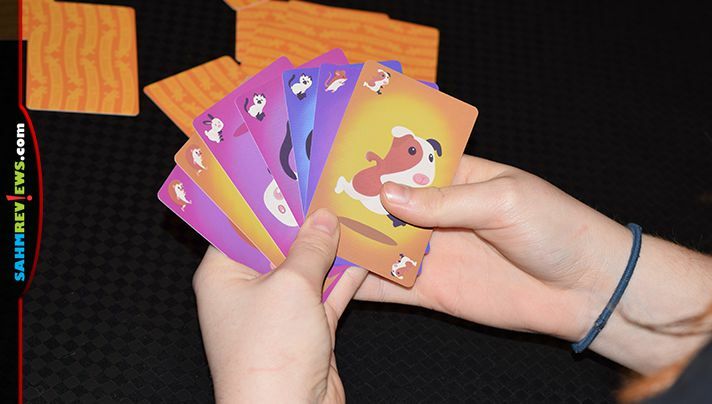 Because Starling Games was becoming known for “heavier” games, their parent company, Game Salute LLC, saw the need to create a brand for the family-friendly market. 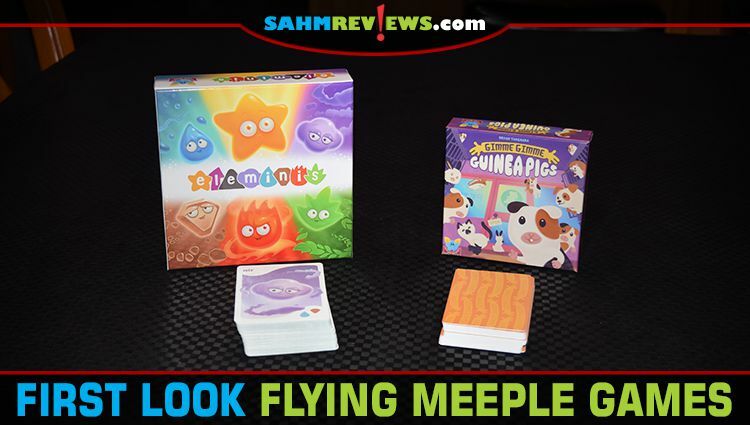 They’re the focus of today’s feature – Flying Meeple! Here’s a look at two of their first issues! This simple and inexpensive game is designed for players as young as three! 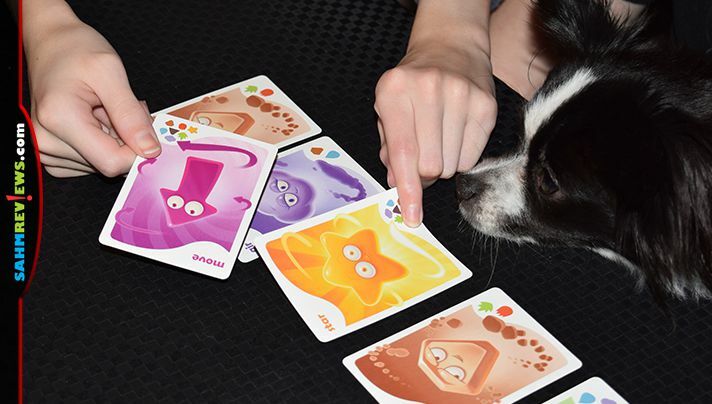 Up to six players may participate in a round, which lasts only about five minutes – perfect for those young and easily distracted toddlers! In Gimme Gimme Guinea Pigs all players are employees of a pet store where somehow all the pets got loose. It is up to you and the other players to get them collected and put back into their cages. Because pets of different breeds don’t get along, you can only work on one type at a time. The first player to get one type of animal corralled up will be the winner! Each person starts with a hand of seven cards and the rest are spread out on the table, face-down. Everyone plays at the same time when “Go” in announced. 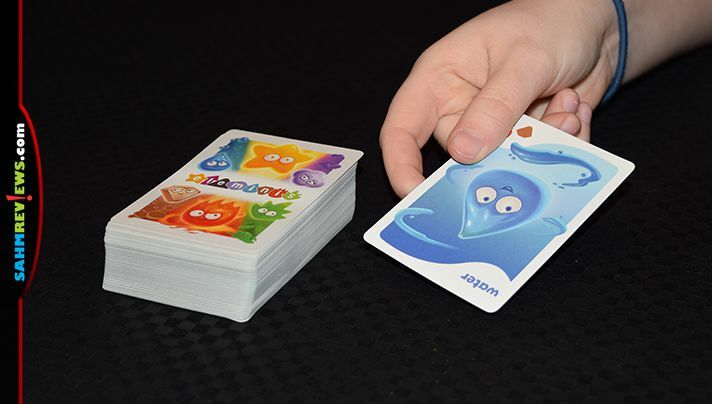 Discard a card from your hand face-up to the center of the table and either draw a new one or take one of the face-up cards played by another player. 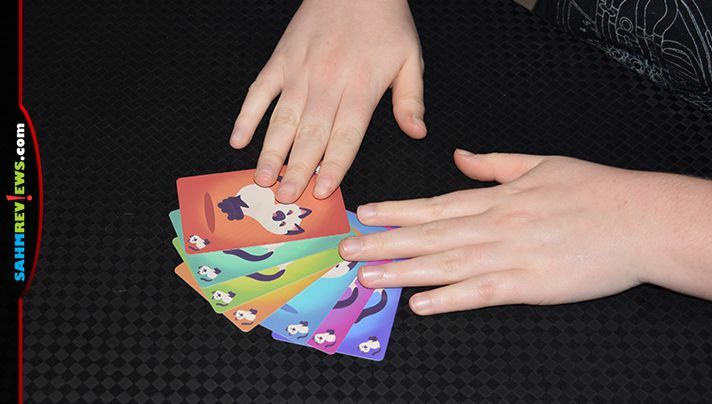 You are trying to get your entire hand of seven cards to be made up of the same animal (there are eight of each animal in the deck). 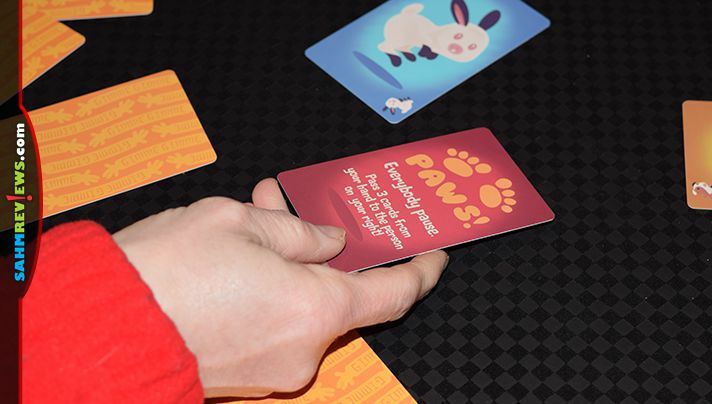 If someone plays a Paws card to the table and calls out “Paws” / “Pause”, all play stops and players must pass three cards from their hand to the person on their right. That same player then says “Go” and play resumes as normal, discarding cards and drawing back to seven. Once someone collects seven of the same animal type in their hand they exclaim, “Got em!”, and they are the winner of Gimme Gimme Guinea Pigs! 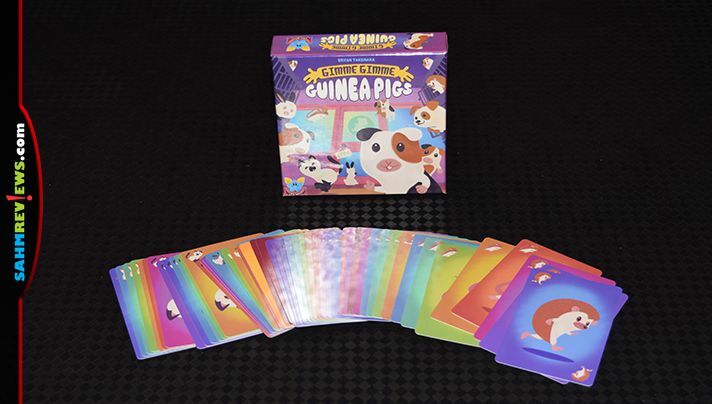 Ringing up at under $10 on Amazon or direct from Flying Meeple Games, Gimme Gimme Guinea Pigs is an inexpensive game for the toddler crowd – a game demographic often ignored. This also very affordable title from Flying Meeple Games is targeted towards a slightly older group, but still approachable for kids as young as five years old. 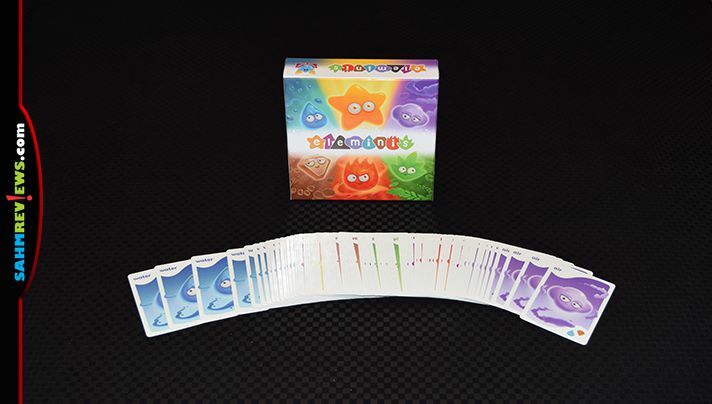 Eleminis is a 15-minute card game for up to eight players and is a race to collect an entire set of mini elements (fire, plant, water, air and rock). Setting up a game of Eleminis is as simple as shuffling a deck of cards. No cards are dealt out – everyone works from the same draw pile. In front of each player is an imaginary playing area that will hold five cards. This is where you will place your collected elements. On your turn you simply draw the top card from the pile, show it to everyone and decide where to place it. You can place a card on any open space in front of you or any other player. By showing the card to everyone you are inviting others to negotiate or persuade you regarding your choice of placement! 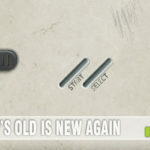 Not only can you place it on an open space, you may also “upgrade” an existing element by matching the symbols on the lower right part of the card. 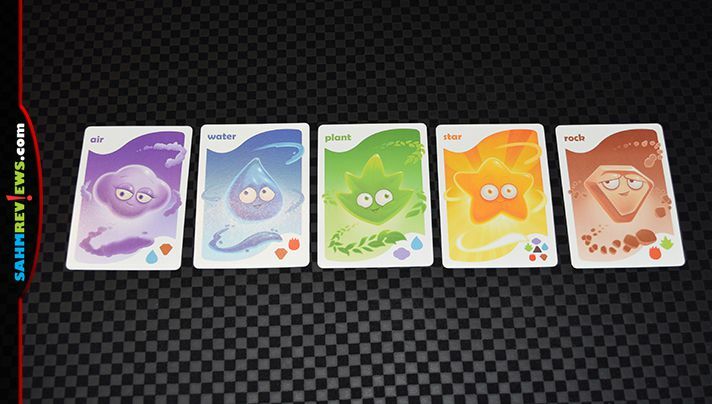 For example, you can replace a fire element with a water card or a water card with a plant. This will help you block other players from getting their set as everyone needs to utilize all five spaces in front of them to hold the five different elements! If you have two of an element type, you’ll need to somehow get rid of one to make room for the one you need! A Star card is considered wild and can replace any card on the table. Move, Swap, Discard and Recycle cards allow you to manipulate the positions of already played cards, while an evil Trash card will take up space until removed by a Star card. Turns are quick and the first player to get all five elements into their collection (or a combination of elements and Star cards) is the winner of Eleminis! Eleminis is also available on both Amazon and direct from Flying Meeple Games on their website. If you have to choose between the two, opt for Eleminis as it will be age-appropriate for a much longer time. We enjoyed the speed element of Gimme Gimme Guinea Pigs, but weren’t much competition for our teens. And without real competitors, they were ready to move on to something more challenging. These are just the first two family-friendly games offered by Flying Meeple Games and there are more in the pipeline. Follow them on Facebook and Twitter to see what’s coming out next and what conventions they’ll be attending so you can get a preview for yourself! 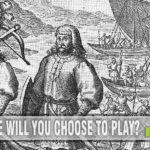 Have you played any of the games by Flying Meeple Games? Super colorful and engaging art! We have so many kids birthdays coming up and I bet this would be a great gift! I always buy family style games for my kids friends birthdays. These would be great.